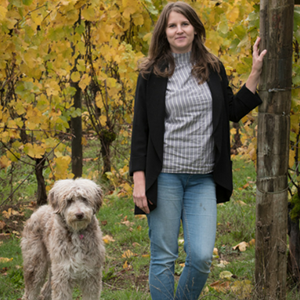 Kristin Marchesi is President of Montinore Estate, a 200-acre Biodynamic® vineyard and winery in the northern Willamette Valley and currently the largest producer of certified estate wines made from Biodynamic® grapes in the country. Kristin grew up on her family’s winery on the East Coast where she worked in the vineyards and in the winery after school and during holiday breaks. She earned her degree from Portland State University while honing her culinary skills working at restaurants and as a private chef on both coasts. After permanently settling in Oregon, Kristin managed marketing and sales for several Portland-area businesses and restaurants. In 2006, she joined the Montinore Estate team, working alongside her father, Rudy Marchesi, to help revitalize the brand. Kristin managed marketing and sales including overseeing 44 domestic wholesale markets and also opened the international export market, which now reaches 10 countries in Canada, Europe, Asia and the Virgin Islands. Closer to home, Kristin worked to promote tourism during her two-term presidency of North Willamette Vintners, and helped earn grant funds that successfully launched programs to increase tourism and sales for the region’s wineries. During her three terms on the Board of Directors for the Willamette Valley Wineries Association, Kristin chaired the marketing committee, producing the successful trade and consumer tasting “Pinot in the City,” which still tours the country twice annually. Kristin also shares her expertise with Oregon Pinot Camp, and served as past President of the International Pinot Noir Celebration. Kristin lives in Portland with her husband, two young children and an Aussie-Poo named Hazel. She enjoys the local culinary scene and when not at work can often be found exploring the great outdoors.